Ajummas also do ‘rapping’ not warpping. Recently, some of learning centre in Korea provide ‘rapping’ class for ajummas. Hiphop Nation is known as one of Korean TV programs which is the rap competition featuring grandma (Hal-meo-nee) rappers. In this TV show, these grandmothers were honest about their lives through rapping. And now, here we have ajumma rappers,too! Through the news article, these ajummas were tired of boring classes for ajummas such as singing class and playing musical instruments. They long for something new to learn for their leisure activity. For this reason, they do rap now and they believe the rapping with their own lyrics will relieve stress. 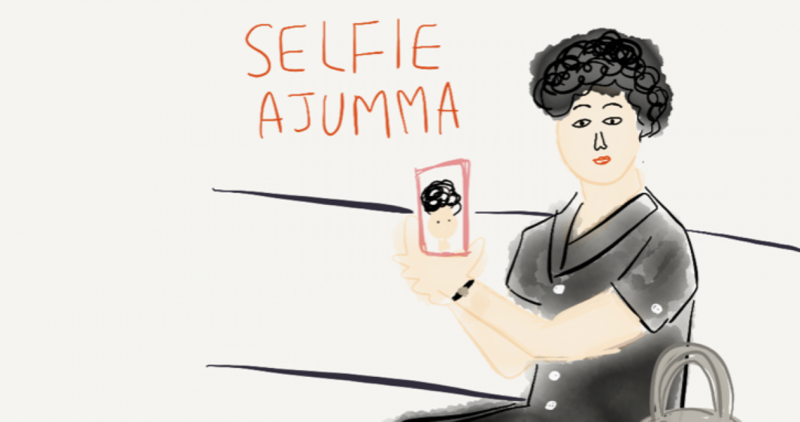 I will add more about these ‘ajumma rappers’ in the next blog post.